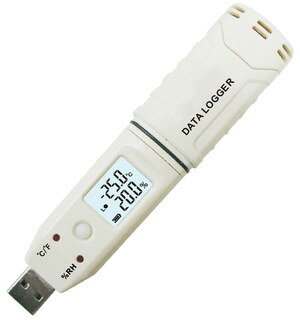 This data logger measures and stores up to 32,000 temperature(-35 to 80°C(-31~176°F)) readings. Some professional applications can be provided by the PC software DGraphTM. Logger status, alarm indication and low battery indication are via flashing red/green LED and yellow LED. The button on housing can be used to start logging, or confirm and clear LED alarm when LED alarm is hold status. User can plug data logger straight into PC’s USB port without any cables. Before getting started, user need to install USB driver and DGraphTM software, provided on the CD which is included in product packing box. All the software can run under Windows XP, Vista, 7 or 8(32 bit and 64 bit Versions). User can easily use DGraphTM software to setup sample rate (from 10 seconds to 12 hours), high/low alarm limit and start/stop method , and download data to PC, etc. And then user can view, analyze and print the data, or export other file formats (txt, xsl, csv, bmp, jpg). Especially, for some professional applications, user can set access password, name each channel, enable/disable specified channel, input calibration data for each channel, disable LED indication for saving power, and select sample mode (Instant, Average, Maximum and Minimum), etc. indication and low battery indication are via flashing red/green LED and yellow LED. The button on housing can be used to start logging, or confirm and clear LED alarm when LED alarm is hold status. Average, Maximum and Minimum), etc. Every 1sec. to every 24hr. 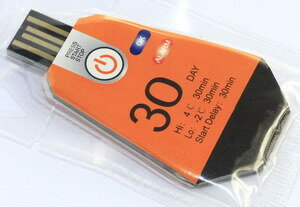 This data logger can measure and store air pressure, humidity and temperature readings automatically. Especially, more professional applications can be provided by the unique PC software DGraphTM under Windows xp/7/8 (32/64 bits). User can easily use the software to setup and download data to PC via USB. And user can view, analyse and print the data, or export other file formats (txt, xls, csv, bmp, jpg). Logger status, alarm indication and low battery indication are via flashing red/green LED and yellow LED. The button on housing can be used to start logging or confirm and clear LED alarm. transportation, equipment operation, manufacture, storage. It can log the altitude. Every 2sec. to every 24hr. This data logger measures and stores up to 32,000 DC Voltage readings. Especially, more professional applications can be provided by the unique PC software DGraphTM. Logger status, alarm indication and low battery indication are via flashing red/green LED and yellow LED. The button on housing can be used to start logging or confirm and clear LED alarm. ★If you need other measured ranges, please contact us for help. 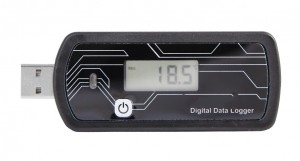 This data logger measures and stores up to 32,000 DC Current readings. Especially, more professional applications can be provided by the unique PC software DGraphTM. Logger status, alarm indication and low battery indication are via flashing red/green LED and yellow LED. The button on housing can be used to start logging or confirm and clear LED alarm. 1).Display carbon dioxide concentration and ratio by lcd. 3).Close/Open transfinite alarm by key. 4).Record and check the maximum minimum value. 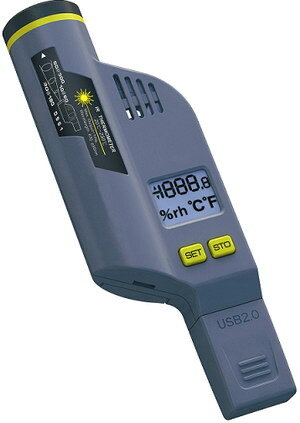 SRDL344D CO2 monitor could measure the CO2 concentration, air temperature, humidity. Poor indoor air quality is considered unhealthy because it causes tiredness, loss of ability to concentrate, and even illness. IAQ monitoring and survey, especially on CO2 level and air ventilation become widely applied in public areas such as offices, classrooms, factories, hospitals and hotels. It is also suggested in regulations of industrial hygiene in some countries. •DIGITAL WALL MOUNTABLE/ DESKTOP TYPE! 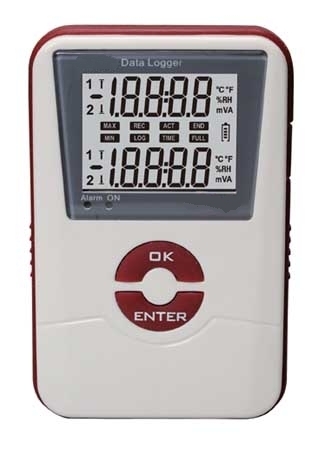 Multi-function data logger is a new instrument designed for the actual demand of various industrial site, which integrating display, processing, records, calibration, accumulate, alarm functions etc. 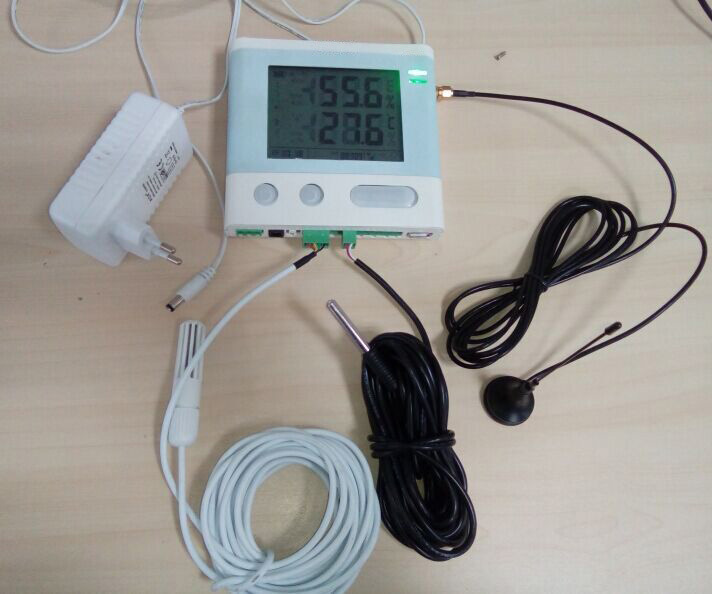 It can be used to measure the voltage, low current (0-24mA), high current (0 ~ 600A), temperature (thermocouple), temperature (thermal resistance RTD), etc. ・ USB port connect to PC to browse the recording data, and generation curve, export the file with TXT/excel format. ・ Receive various input signal as thermocouple, RTD, current and voltage etc. Resolution: Temperature: 0.1; Humidity: 0.1%; VDC: 0.01V; VAC: 0.1V; mA DC: 0.01mA; A AC: 0.1A. 4, Using the included software, users are allowed to set up alarm threshold, measuring unit, recording rate/timing etc. 5, Time synchronization when connected to PC. 6, The included software also supports data analysis, recorded data can be export into a .txt file for further analysis. 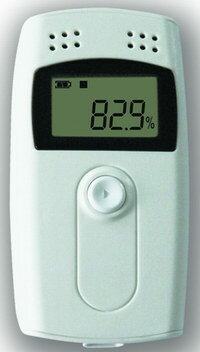 Recorded temperature and humidity readings can be displayed in a curve graph which can be printed and archived as well. 3, Internal EERROM memory, tracks and records 5000 set temperature/humidity readings; battery is capable to power the logger for at most 1 year; data recorded stays in the memory until the next reset-up using the included software. Users are allowed to download data from the logger to the computer. 5, Setup high and low alarm limit, measuring unit, sampling rate, start time etc from the included software. 6, Time synchronization when connected to PC. 7, The included software also supports data analysis, recorded data can be export into a .txt file for further analysis. The temperature and humidity data can also be displayed in a curve graph which can be printed and archived. 2. Internal EERROM memory, tracks and records 16300 set temperature/humidity readings for as long as 12 months. The stored data can be stored permanently, for software to download before the software reset. 4. Using the included software, users are allowed to set up alarm threshold, measuring unit, recording rate/timing etc. 6. The included software also supports data analysis, recorded data can be export into a .txt file for further analysis. Recorded temperature and humidity readings can be displayed in a curve graph which can be printed and archived as well. 6, Build in EEPROM memory, offers the ability to track and store 32000 set of data. Data is available until next setup, and can be download to a computer. 9, Users is able to analyze the data in graph view using included software and also print or save the results. 7, Build in EEPROM memory, offers the ability to track and store 32000 set of data. Data is available until next setup, and can be download to a computer. 10, Users is able to analyze the data in graph view using included software and also print or save the results. 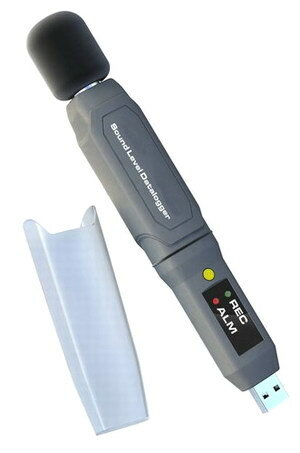 SRDL140A can measure and record under the range from -16g to 16g, and record triaxial acceleration value of gravity as well as shock and vibration. It can also be used to detect tilt, shock, vibration and other motion condition, to help achieve a variety of applications in the field of industrial, medical, communications, consumer electronics and automotive fields. Users can be configured record rate, high and low alarm value and startup mode. Plug SRDL140A into the USB port on the computer and run on the computer software packages which supported to draw and print measured data, and other application software output, such as Office software (Notice: the software can’t be used under office 2016 at present, only can be used under versions such as office 2013, 2010, 2007, 2003). This data logger comes with long-life lithium battery for 1000H with 16MB of flash memory devices which can accommodate up to 327,6000 data. ToAnalyzer U CD,User Manual, Battery. ToAnalyzer U CD, USB cable, User Manual, Battery. 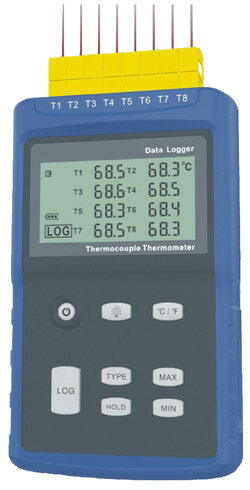 This data logger is ideal for monitoring the temperature in transport, storage and testing process. Recording are stared and stopped by pressing a button. And place into USB slot on any computer to get PDF report directly without any software and driver. 4. Easy operation with single Icon on PC software (No need of menu operations);Through PC software can be exported in the form of Word/Excel/PDF, easy management. 5. PC software simulation of the over temperature with red or green lights . 6. Dual bar code labels. +/-0.5°C (-20~+40°C); +/-1°C, for other range. 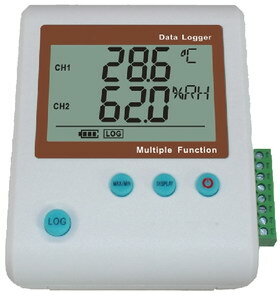 This data logger is mainly used for temperature recording during storage and transportation of foodstuff, medicine, chemicals and other products, especially widely used in all links of warehousing, logistics and cold chain, such as refrigerated containers, refrigerated trucks, refrigerated package, cold storage, laboratory, etc. Through PC software can be exported in the form of Word/Excel/PDF, easy management. 10. Battery life: in normal temperature, if the record interval sets as 15 minutes, it could be used half a year. 13. Product size: Length 80mm, Width25mm, Height12mm. 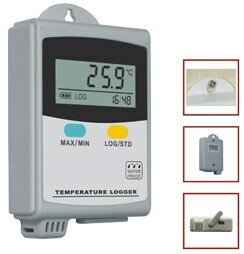 This data logger is mainly used for temperature recording during storage and transportation of foodstuff, medicine, chemicals and other products, especially widely used in all links of warehousing, logistics and cold chain, such as refrigerated containers, refrigerated trucks, refrigerated package, cold storage, laboratory, etc. 3. Temperature unit: °C or °F optional, set through RC-4H data management software. 12. 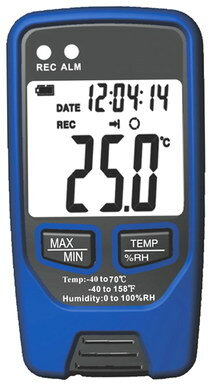 Ambient environmental temperature: -30°C~ +60°C;in the low temperature environment, LCD displays slowly, while it has not an impact on the normal measuring nor recording. Once the temperature recovers, it could display normally. 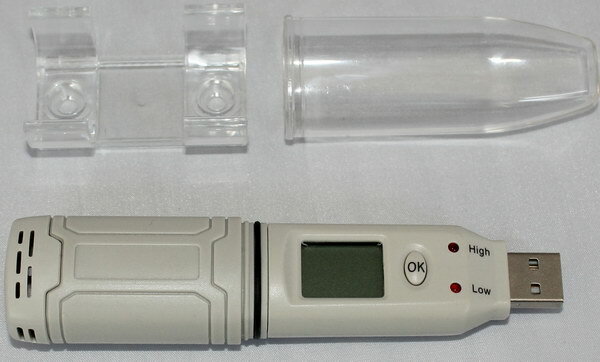 External temperature sensor (1.1 M): connect external sensor through the headphone jack, temperature measuring will automatically switch to the external temperature sensor. All USB data loggers are fully compatible with our user friendly software �C TempTrak. TempTrak is free of charge and allows the logger to be set up and the data read and displayed in graphical format. Graphs can be stored, printed or retrieved at a later time. USB design is compact and delicate. 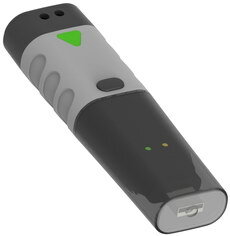 USB interface communication, the data can be read in a simpler and more efficient way. With E-3 anti-treatment, it is usable in extreme environments such as low-temperature, high humidity, strong earthquakes and etc. Temperature-sensitive refrigerated daily necessities, freight containers by sea/air, etc. U disk design is compact and delicate. Charging through computer USB port, it can last for three months with full power. 3. temperature-sensitive refrigerated daily necessities, freight containers by sea/air, etc. Recording Logger: Press the button, red indicator will keep bright about 3 times that means logging status. Data Read: Please install Apresys software on PC to read, save and analyze recorded data. Note: If data logger has not been started, hold down button about 3 second to start again. The last data will be lost; the default start time instead is 2 minutes. The next one shall be according to the last one. 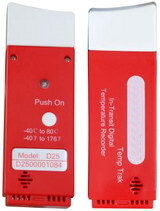 This model of temperature recorder is efficient, durable and portable, economical and practical for low cost requirement. As our products are made of superior soft material, they are shock-proof, dust-proof and fog-proof. This model we produced is characterized by its compact size and high accuracy. Even if the power is using up, it still can be used for reading and printing data. Lab, Shipping, Transportation, and Food Monitoring for cold-chain management. 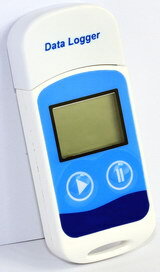 ToAnalyzer 1 CD, USB cable, User Manual, Battery. 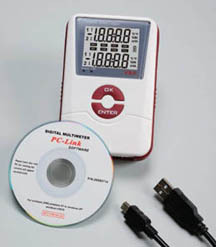 ToAnalyzer 1 CD (software), USB cable, User Manual, Battery. 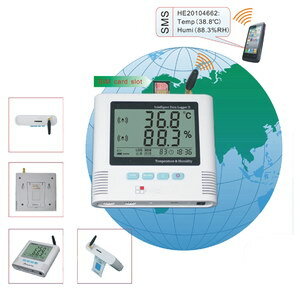 SRDL series GSM temperature humidity data logger is the new generation data logger of Shanghai TOTAL company, which has been added with the GSM alarm message function based on the original series. 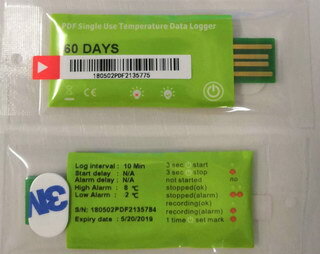 Users can dial the data logger through any mobile phone to get the temperature and humidity values, besides, the temperature humidity data logger will send alarm message to defined users automatically once the setting limits being exceeded. 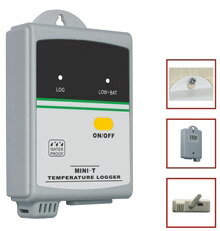 SRDL500 series GPRS temperature humidity data logger is the new generation data logger of TOTAL company, which is integrated with GSM & GPRS Module. 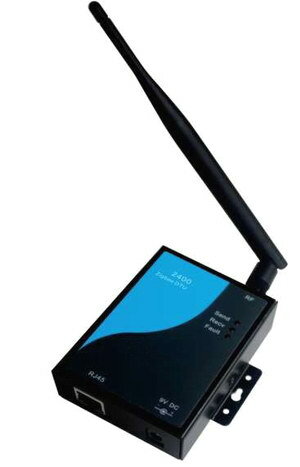 Through the wireless GPRS Network, It will automatically measure temperature requested and upload temperature data to end-users' monitoring PCs. Upload interval and Data Logging interval are user programmable from 1 min to 24 hours. The GPRS Logger is a solution for temperature and humidity measurement logging to PC real-time Monitoring Center by GPRS in the worldwide. It has been widely applied in laboratory fields, food industry, medical industry, electrical industry, environmental protection agricultural etc. Temperature and Humidity data Acquisition and Logging. Simple, Quick and Easy to Install. Desktop and Wall-mounted. Simultaneous Data Transmission via GPRS without distance limitation.. Programmable by GPRS / Local Commands. Remote real-time integrative network solution, the real-time data can be uploaded and seen on the ToMonitor software, and the history data can be searched by the ToClient software. Real-time Monitoring on User’s Computer. Clients & Data Loggers Grouping. Real Time Alert via SMS or E-mail from PC. Live & Logged Data Graphics Display. Exceed Limits Alarm / Power off Alarm. If user defined max/min values are exceeded, system will send SMS to USER’S Mobile phone. The largest number of alarm & frequency can be set. When the Temperature or Humidity returns to normal range, system will send the SMS to user’s mo-bile phone again. Realize temperature humidity central-monitoring and central management for cold storage, server room, refrigerator, pharmaceutical and industry warehouse, museum as well as laboratory. Maximum 8192, record for more than 2 years is log interval can be set 10 minutes. * Long interval: 2 second ~ 24 hours. Timing recorder time, sample Interval and log interval can be set in the software. * Recording protection: Recording function will stop when battery is low but recording values can be saved forever safety. * Adopt Switzerland digital temperature humidity integration sensor, which assure the reliability & stability. * Installation: Wall-mounted with fixed support, easy to use and convenient to maintain. * Alarm type: Audible & visual alarm (LED + Buzzer). Automatic alarm when any setting limits are exceeded. * Display: Dual display. The first line shows the packets count received; the second line shows the last five numbers of the serial No of the last packets data logger. 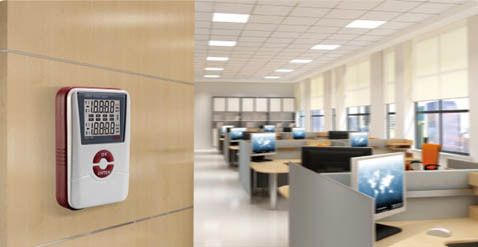 * PC interface: Zigbee + RJ45, can be connected directly to the internal LAN of enterprise. * It will connect several data packets into one packet when receive data packet from multiple wireless data loggers and send to the ToMonitor system. * Relay configuration rules: Each relay has one unique ID ro assure no conflict. Evert adjoining relay work in different band. e.g. m/s, kmh, pH, KPa, Bar, %, °C etc. 4. Big LCD screen can simultaneously display system clock, current work status, recording capacity, temperature and humidity data. 5. The upper/lower temperature and humidity alarming values could be separately set. It will alarm when the temperature/humidity exceeds the upper or lower limit. 6. Internal clock rechargeable battery and charging circuit. When the external power is cut off and the clock battery is fully charged, the clock could keep running for over half a year. 11. It has the standby rechargeable battery, which could run up to ten days without the external power. 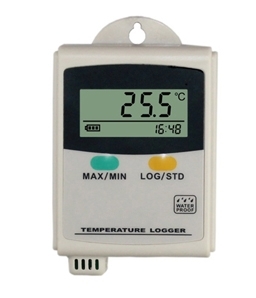 SRDL140 is a data logger with four channels of temperature or humidity detectors (more details in specification). 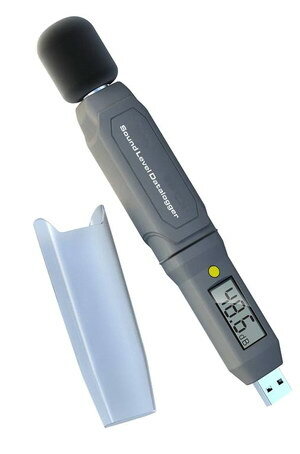 It has the advantages of wide temperature measuring range and high measuring precision. SRDL140 communicates with Cold-Chain Cloud on Internet. The LCD screen displays current working state, the recording capacity and the recording data. It can alarm by buzzer or by the SMS. Users can view and download data of temperature and himidity through cloud anywhere and anytime. Users can also view data by smart phones (Support IOS and Android only). Power supply: 12V AC/ DC 24V AC / DC. It could connect with power supply of 100-264VAC, 50/60HZ by external power adaptor. +/- 2 ºC (others) (If sensor wire is longer than 50M, accuracy deviates 1%). 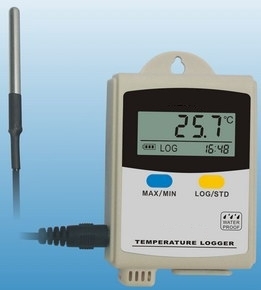 SRDL220-T8 thermocouple data logger with 8 channels is kind of high precision instrument; developed and manufactured by TOTAL company; which have passed all strict calibrations and professional testing (via FLUKE instrument). Support 8 types thermocouples (K, J, E, T, R, S, N, B), including thermocouple temperature compensation function and can measure temperature range -200°C-1800°C. 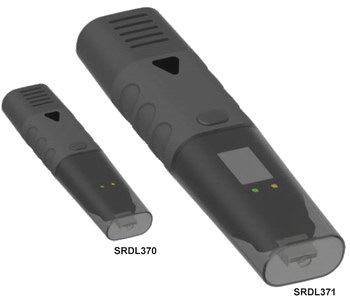 Together with ShowRange special analysis software, SRDL220-T8 enjoys many good features and quite convenient to operate. It have been widely in industrial production, food processing, pharmacy and various research testing fields. * Both °C and °F are available. * Capacity 36000 data memory. * Big size LCD and USB interface. * ToAnalyzer Analysis software used to view graph for logging data, configuration, powerful ability of data analysis and friendly. Fastest 1/sec, from 1 to 240 seconds can st.
Software CD, 3.6V Lithium battery*2, USB cable, user manual, AC-DC adapter(optional) and carrying box. Widely applied in Electronics, food industry, warehousing, textile industry, incubator and scientific research etc. * All the sensors are manufactures in Europe, with high accuracy and stability. * Large capacity, can record up to 43000 groups of data. * Measures and displays CO2, temperature and humidity at the same time. * Elegant appearance and easy to operate. * Lower power consumption, battery can work for at least 6 months. Accessories: PC software, specification, professional USB link power, two 3.6V lithium battery, guarantee card. * Green housed in agriculture. * Public places such as hospital, rail station. * Factories, laboratories, archives and libraries.